Special Districts are forms of local government created by the State, Counties, and Municipalities in order to provide a specific service or services to a defined area. Special Districts are often referred to as special-purpose governments, since the law authorizes them to provide only those services that are specifically defined in their enabling legislation. Conversely, the State, County, and Municipal governments are called general-purpose local governments and are not specifically limited in what services they can provide to their residents. The reason for Special District creation is to provide the permanent administrative structure for financing and maintaining services or infrastructure traditionally provided by general-purpose governments when these governments are unwilling or unable to provide the service or capital improvement. Consequently, Special Taxing Districts are frequently substituting and/or complementing the capabilities of general-purpose governments. For instance, Special Districts provide water management in multi-county jurisdictions, public infrastructure in new developments, streetlights to neighborhoods without them, and fire protection for Cities and Counties. Special Taxing Districts are governed by an appointed/elected board and are empowered to serve as a public financing mechanism that provides accessibility to the tax exempt bond market to fund public infrastructure improvements. The history of Special Districts in the State goes back to 1822 when Florida was still a territory. That same year when Tallahassee was established as a half-way point between the territory's only two cities of Pensacola and St. Augustine and Territorial legislators met in a log cabin marking the future capital, one of the first pieces of legislation passed was the Road, Highway, and Ferry Act of 1822. Realizing the importance of transportation for a growing territory, the act authorized the creation of the first Special Districts. Created to establish and maintain public roads, the first road districts had no taxation authority and solved their labor needs by conscription. Men failing to report to work were fined one dollar per day. 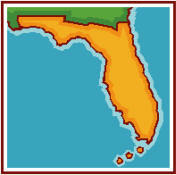 Soon after Florida became a State, in 1854 the Legislature created its first Special District by a special act. Established to drain the "Alachua Savannah", the District had a five-member commission and had the authority to finance its activities by levying special assessments on owners of benefited property with assessments based on the number of acres owned. The popularity of special districts to fund public works continued throughout the end of the 19th century as more settlers came to Florida. By the 1920's, the population had increased substantially in response to Florida's land boom. Many special districts were created to finance large engineering projects. Some of these special districts are still in existence today, such as the South Florida Conservancy District and the Florida Inland Navigation District. By the 1930's, the surge of new residents created the need for the first mosquito eradication district and other very specialized districts. After World War II, the baby boom and Florida's growing popularity created the need for a variety of new special districts, such as aviation authorities and hyacinth control districts. Soon, beach erosion, hospital, and fire control special districts grew rapidly along with the traditional road, bridge, and drainage special districts. In 1984, the State Legislature passed the Uniform Community Development District Act, which was codified as Chapter 190, Florida Statutes, and created Community Development Districts in the State of Florida. The intent of the legislation was to establish a growth management tool which ensured that growth paid for growth and provided incentive for planned community development. Unlike Special Act Districts which are created by the State Legislature through the passage of a local bill which defines the Special Act District's unique powers, Chapter 190 Community Development Districts under 1,000 acres are created within the County and/or Municipality it is located (the exception being Miami-Dade County whom establishes all Community Development Districts) and those over 1,000 acres are established by the Florida Land and Water Adjudicatory Commission. Chapter 190 Florida Statutes dictates the general and special powers available to Community Development Districts and the establishing entity reserves the right to grant or restrict any of the special powers. Currently, there are over 275 Community Development Districts located throughout the State of Florida and their continued proliferation and growing popularity among the development community demonstrates their effectiveness. 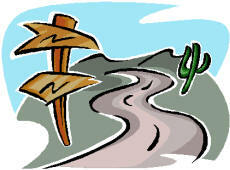 Today, Special Districts are the most common and numerous form of local government in the State. As of September 20, 2000, there were 1172 Special Districts in Florida. At the onset of development projects, special taxing districts can issue bonds in an amount necessary to finance all or a portion of the cost(s) of construction of the public infrastructure improvements. Once the District issues bonds, it can either construct the improvements or purchase the finished improvements from the developer provided the construction is certified by a registered engineer. After the District acquires the improvements, it can either keep the improvements or deed them to another governmental entity. In order to retire the debt associated with the financing, the District levies an assessment against each property in the District each year that represents the annual benefited pro-rata share of the cost of the publicly financed infrastructure. If the District assumes the obligation to maintain some or all public infrastructure improvements, the annual assessment will include an amount for maintenance of budgeted administrative, operational, and maintenance costs. The total assessment will appear on the property tax bill that property owners receive in November each year. This special assessment program ensures that current and future property owners benefiting from such newly constructed public improvements pay for the improvements over the life of the bond issue/debt obligation. Therefore, a bond issue(s) with a typical thirty year maturity will finance the eligible public infrastructure improvements, and a benefited pro-rata share of the annual debt service obligation will be paid by the property owner until the debt is retired. Moreover, the liability associated with the debt service obligation is tied to the assessed parcel and should the developer/landowner sell the parcel(s), then the debt obligation and responsibility to pay the annual debt service assessments pass onto the new property owner; thereby relinquishing the developer from the debt obligation. In addition to infrastructure financing benefits, special taxing districts are empowered to operate and maintain publicly financed infrastructure and are able to maintain the public infrastructure improvements and provide services at levels dictated by the governing board of the district. Therefore, special taxing districts are frequently utilized as a service delivery tool to provide property owners within its boundaries higher levels of service than those typically provided by counties and/or municipalities due to their obligation to serve a larger constituency with limited resources. Many premier communities located throughout the State of Florida are located within Community Development Districts as well as Special Act Districts.